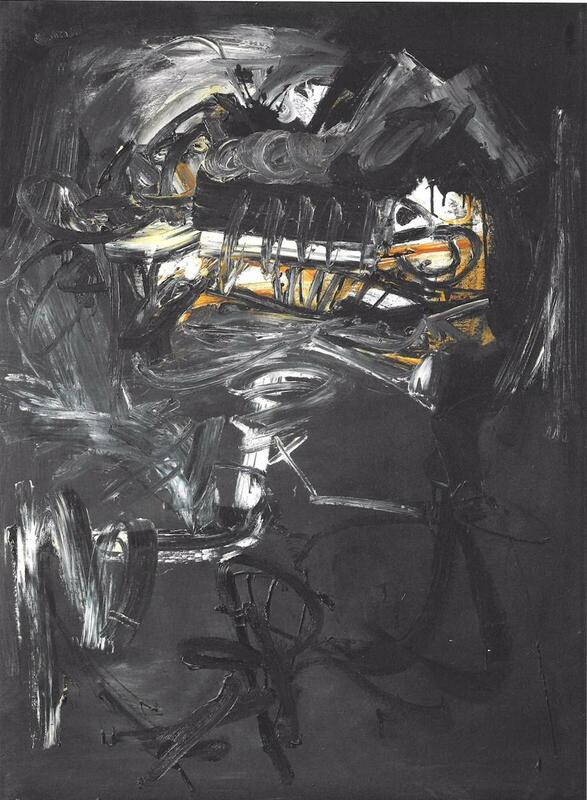 Antonio Saura was born on September 22, 1930, in Huesca, Spain. When Saura was young, his father took him to Madrid to visit the Museo del Prado, where he viewed paintings by Francisco de Goya and Diego Velázquez. After he contracted tuberculosis at age thirteen and was confined to his bed for five years, Saura reflected on his visit to the Prado. In 1947, on his way to recovery and without formal training, he began to produce art. Initially he experimented with diverse mediums, including paint, lithography, engraving, prose, and poetry.